As our winter continues, the citrus in my backyard continues to ripen. 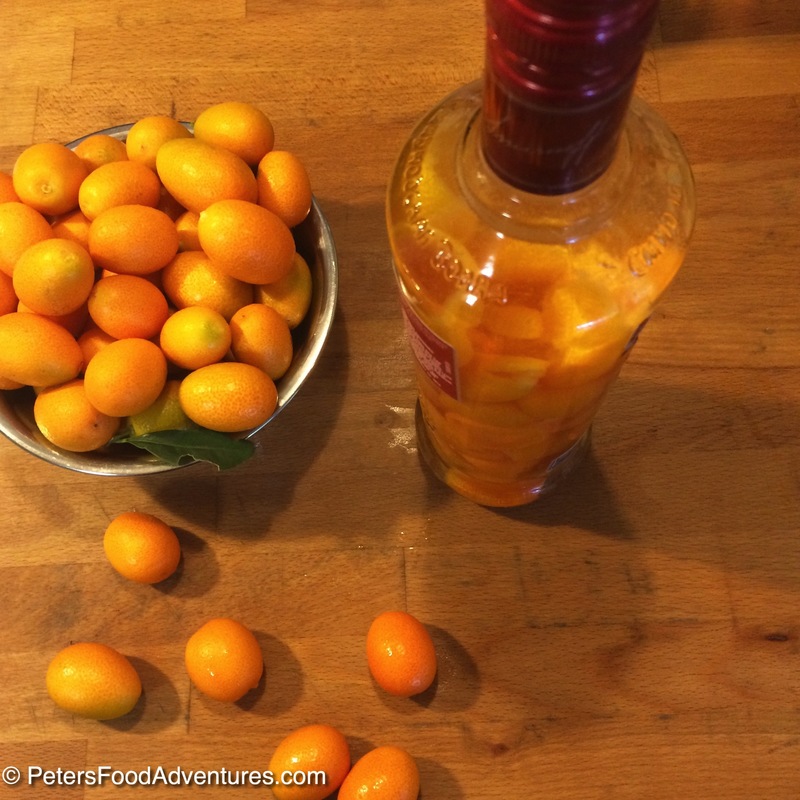 Making a Kumquat Nastoyka Tincture (настойка) or a Kumquat Liqueur puts some of the kumquats on my trees to good use. 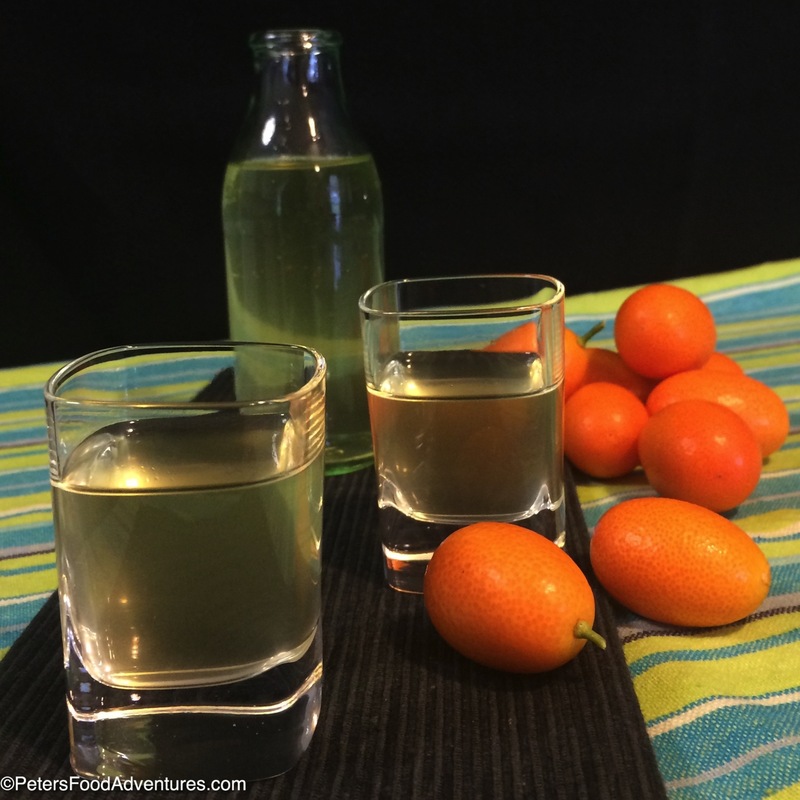 You can’t buy this Kumquat Liqueur or Kumquatcello in stores. A Russian Nastoyka by definition is a tincture, made from fruit, spices or medicinal herbs infused in vodka, to release the essential oils and medicinal qualities into the vodka. Sometimes you will find fruit with medicinal herbs infused together for a more pleasant taste. As Nastoyka is a tincture, it’s classified in 3 varieties, Bitter, Semi-sweet or sweet. It’s really not found commonly overseas, and often taken by 1 tablespoon as medicine (depending on the herb concoction). Traditional Gripe Water given to babies is a tincture usually made with dill or fennel to settle babies stomachs. Although kumquats are not traditional to Russia, they fall into the sweet range of Nastoyka, without any addition of herbs. 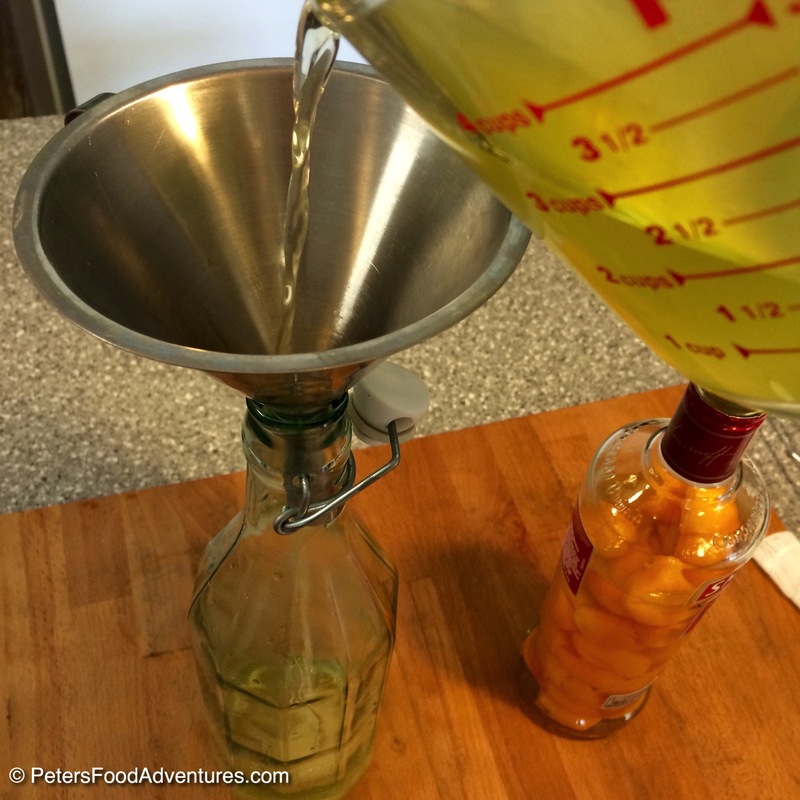 When you make Limoncello, you zest the lemons to infuse the peels in the Vodka or Everclear. Kumquats are tiny and zesting would take forever (plus the white pith of the kumquats are sweet and not bitter like the pith from lemons). 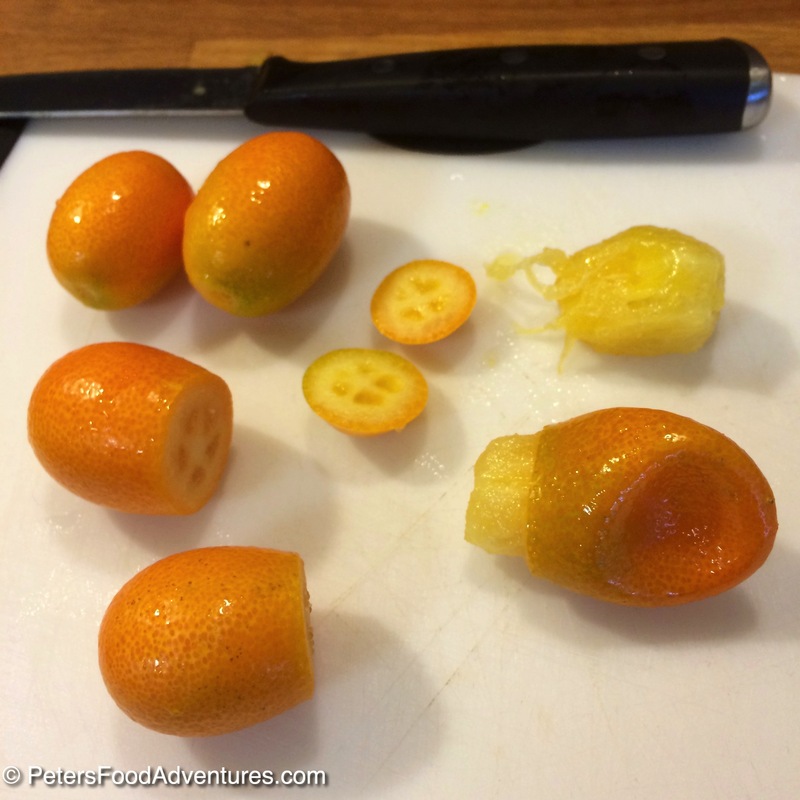 It’s incredibly easy to cut one end off a Kumquat, pinch and squeeze the other end of the fruit, and the middle pops out whole and you’re left with the sweet skin. You can use a large glass container with a lid, however this time my 4 litre glass jar was fermenting kimchi, so I used 2 glass vodka bottles. You can eat the leftover kumquat skins, but here is a great recipe to make a Kumquat Marmalade using the leftovers from Kumquat Liqueur. The kumquat skin is full of with essential oils, anti-oxidants and vitamins, infused in vodka, and ready to have in moderation. Bon Appetit! Приятного аппетита! 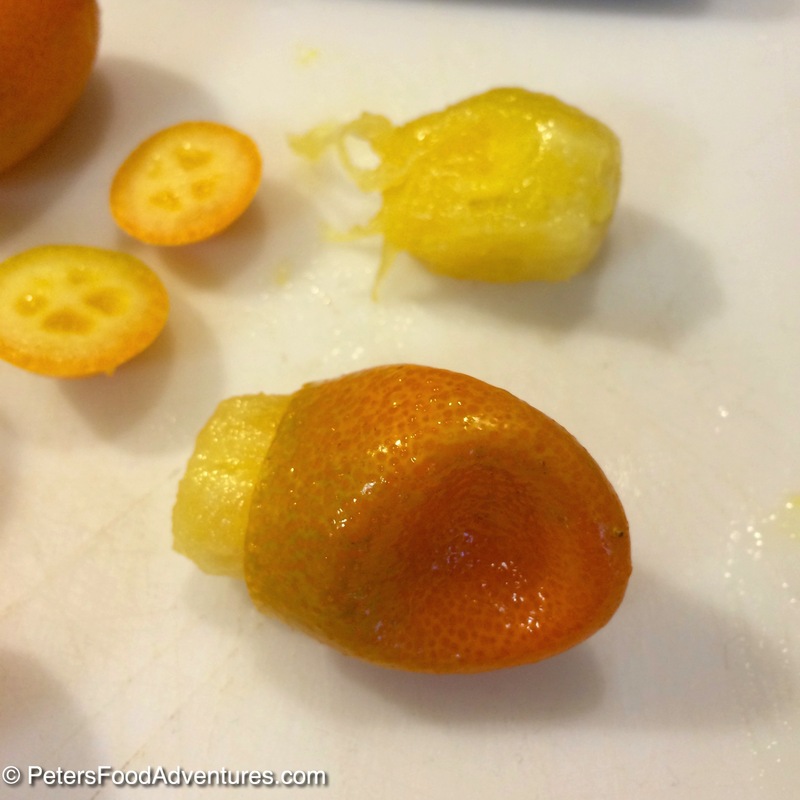 Carefully cut one end off the kumquat, and pinch and squeeze the other end of the fruit, so the inside kumquat fruit pops out whole, leaving the skin of the kumquat. It might take a few tries to understand how the fruit pops out. 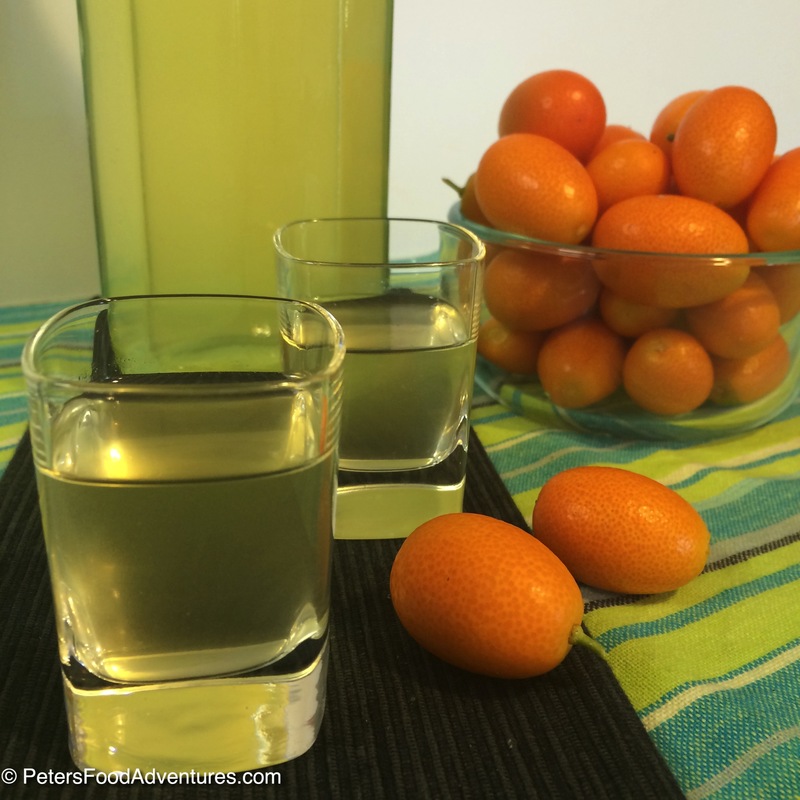 The kumquats peels need to infuse with the vodka. You can either use a large glass jar with a lid or just the empty vodka bottle. I used the vodka bottle. Pour out the vodka out of the bottle and put the kumquat peels into the bottle until the bottle is loosely packed full of kumquats. Add the vodka and let it infuse for at least 10 days or better for up to 4 weeks at room temperature in a dark place. The longer it sits, the better the taste will be. Every week I shook the bottle around the mix it around, but that's not necessary as the kumquats are infusing regardless. 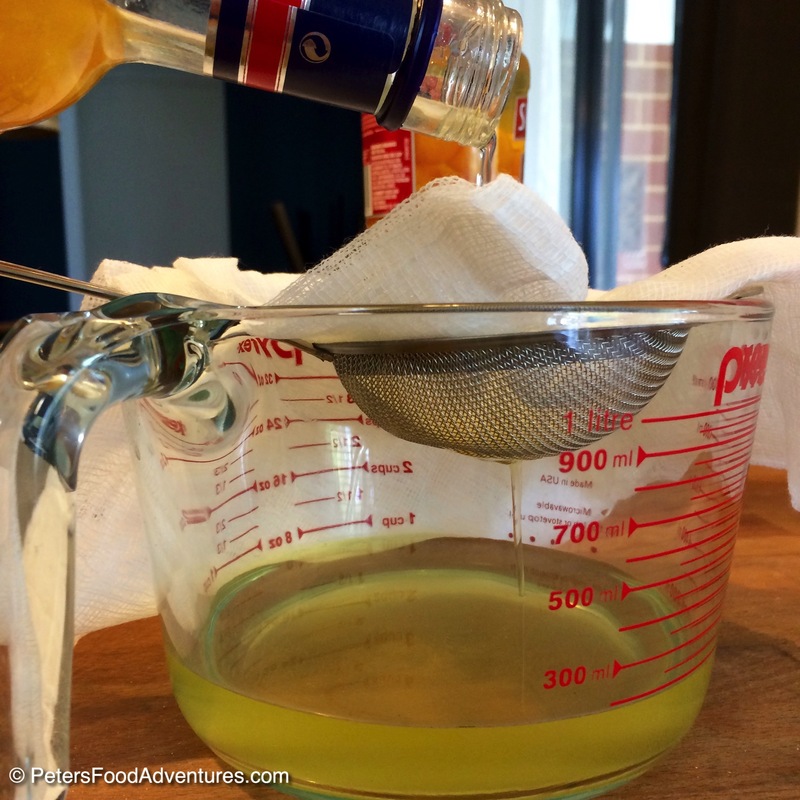 Strain the vodka through a fine mesh sieve or through a cheesecloth. Squeeze the kumquats of any liquid, if possible. Start with 2 cups of water and 2 cups of sugar and bring to a gentle boil for approx 5 minutes, until all sugar is dissolved. Remove from heat and allow to cool. Add 1 cup to Kumquat mixture and taste. Gradually add more sugar syrup, up to 4 cups, per your taste. The more water you add, you dilute the alcohol base, but increase the sweetness. Using a funnel, bottle the Nastoyka in bottles of your choice with a lid. Store in the fridge for up to 1 month, for keep in the freezer for up to a year. Thank you so much for linking my post!